If you miss just one pregnant female bed bug you can be reinfested with over 300 adults and 1000 new eggs in three months. 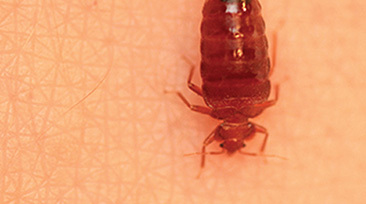 Bed bugs are troublesome household pests. They’re sneaky, hard to find, and can pose potential health risks for you and your family. Armed with pest control capabilities backed by science, over 100 years of experience, and state-of-the-art tools and products, Orkin is well-equipped to assess your bed bug problem and mount a strategic response to rid your home of the pest and provide maximum protection. 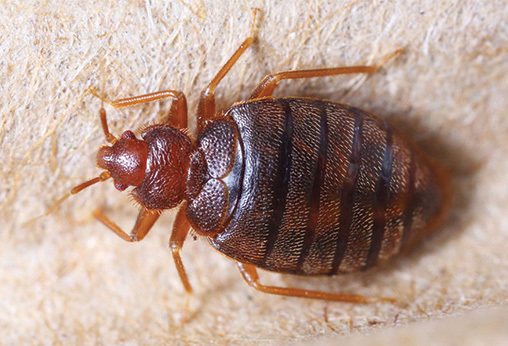 To the untrained eye, rooting out a bed bug infestation can prove difficult, and even if discovered, home remedies and over-the-counter deterrents are often ineffective. Utilizing our A.I.M. protection process, a highly-trained Orkin specialist will assess your home, implement a solution, and monitor activity to ensure the effectiveness of our efforts and offer added peace of mind. Bed bugs multiply quickly, and in just six months, a few can turn into a full-on infestation of 13,000 or more. Detection is critical to break the bed bug life cycle before they become a bigger problem. Orkin Bed Bug Detection Service gets to the root of the problem with targeted inspections of common bed bug hiding places in your home and ongoing monitoring to ensure the pests never return. Ongoing bed bug detection service may not be available in all markets. 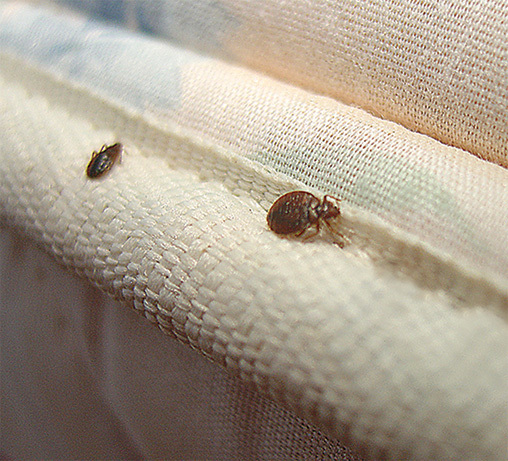 Inspection fee may be necessary for bed bug detection. If you have seen evidence of bed bugs or want to help protect your home against this multiplying intruder, your Orkin specialist will come and inspect your home. Bed bugs are sneaky and hard to find, but your Orkin specialist is trained to pinpoint evidence if they are around. On the first visit, we will examine your entire home including the bed, furniture, rugs, and linens. We will conduct an inspection of target areas, and if required, use tools to check cracks and crevices. Your Orkin specialist will usually start in the bedroom and work their way through your home, concentrating on the furniture and the areas immediately surrounding the furniture. Upon completion of the inspection and an assessment of the situation, your Orkin specialist will recommend the best course of action. If the inspection confirms an infestation, Orkin will recommend a treatment plan based on the severity of the infestation and your preferences. We will use the best tools and science to address the causes and treat your bed bug problem in the best way for your family, pets, and the environment. This implementation method targets bed bugs as well as the bed bug larvae — preventing them from maturing into breeding, biting, and potentially disease-carrying adults. Bed bugs can be difficult to eradicate; so your Orkin specialist will perform a follow-up visit to help ensure the effectiveness of the professional treatment that was performed. Additionally, your Orkin specialist will document the visit and recommend next steps to ensure the best maintenance approach for your home. Bed bugs can multiply quickly, so early detection is critical to help prevent an even larger infestation. Our integrated A.I.M. protection process works to assess your home, implement solutions, and monitor any bed bug problems you may face. At Orkin, we never stop learning from bugs. We use the latest technology and unparalleled training, so we can protect your home with an effective plan suited to your specific needs. Simply put, we have Pest Control Down to a Science®. What are the signs of bed bug bites? We have used Orkin on 2 occasions and have had 100% satisfaction on both Bed Bugs and Carpenter Ants. Both of the Technicians were very knowledgeable, courteous and were concerned about how we felt about the situation. My wife's father had a very bad case of Bed Bugs, which is where we got them from, and we referred Orkin and as now there are no signs of bugs at his house. Our more than 100 years of pest control experience began in 1901 by then fourteen-year-old Otto Orkin. In that time, we’ve become an industry leader in specialized protection against common pests including insect, termites, rodents, and more . Can Bed Bugs Live in the Cold? Can You See Dead Bed Bugs? Do Ants Eat Bed Bugs? Do Bed Bug Traps Work? Do Bed Bugs Come Out When The Lights Are On? How Long Do Bed Bugs Stay Dormant? What Colors Are Bed Bugs Attracted To? What Do Bed Bugs Smell Like? What Temperature Kills Bed Bugs?